Around Paraguay the Word is going forth and the Spirit is moving! Paraguarí: Began in April preaching and teaching in a new city to family members of a man converted in the prison.Total of three baptized so far. Concepción: Taught Bible study in new city where a pastor is soon to plant a church and baptized one young lady. Santaní: Man who had suffered a stroke received a healing touch. In the tent revival one received the Holy Ghost. Ciudad del Este: Five received the Spirit and two were baptized in three-day revival where the mass evangelism will surely continue to bear fruit. Encarnación: Two ladies received the Holy Ghost in the first service in new location of recent church plant. 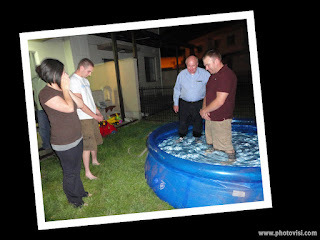 Asunción: Fifteen more men were recently baptized in the prison and one received that most precious Gift! Greetings in Jesus’ name from the James Marse family. Things are still going well on the deputation trail for our family. We are at the half-way point on this leg of our schedule. Just to fill everyone in on our schedule, we deputize from April to October of 2012. Then we will return to Bolivia for a year and then return to the States and resume deputation in January, 2014. We do have some highlights that we would like to share with you. Thanks for your prayers and support for Bolivia. Though not in Bolivia now, we do have good news to report. Bro. and Sis. Dame invited Sis. Margaret Banks, the prayer coordinator for the NY Metro district to travel to Bolivia in July with a handful of other ladies from her church. The intent was to pray over the city of Cochabamba and to teach on prayer. 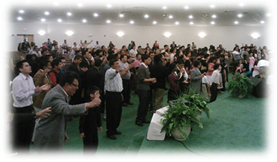 Revival broke out and over 40 people received the gift of the Holy Ghost. Not only that, but while they were in Bolivia praying for revival, God filled 68 people with the Holy Ghost during that same time in her home church in Mount Vernon, NY. To God be the glory! 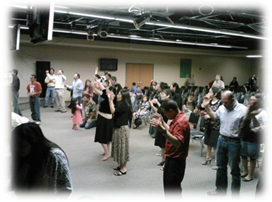 In Auburn Hills, Michigan, we experienced a great touch of God. After the service, Pastor Danny Johnston invited my wife, Stacy, to come back the next night and speak at the ladies meeting. Again, God blessed the service with His presence and each one that was in attendance. 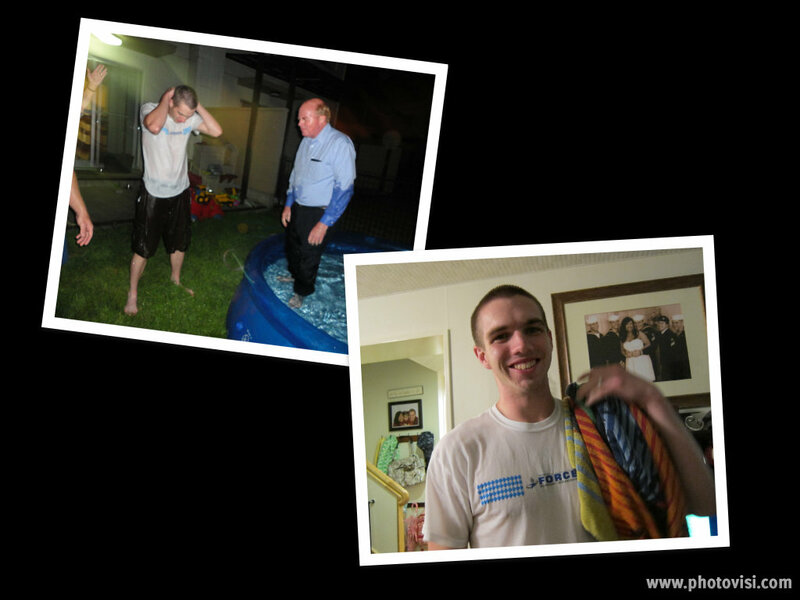 At a Spanish service in North Carolina, we had the opportunity to see five new souls baptized in Jesus’ name. Originally only one was scheduled for that afternoon. At the beginning of the month of July, we had an awesome week with the Lord filling people with the Holy Ghost and being baptized in Jesus' name. For months, we have been driving 2 hours one way to U.S. Fleet Activities Yokosuka (naval base) for a weekly home bible study. 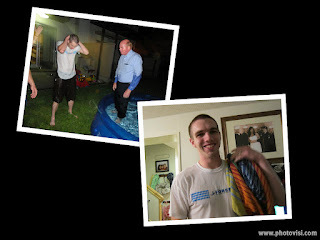 At the end of June, one of the men (Darren) said about baptism in Jesus' name, "Let's do it right now! I'll fill up the pool!" Before the night was over, we had 3 baptized in the name of Jesus. 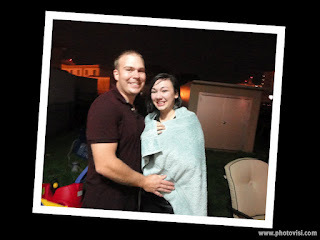 With much excitement, Darren and Lauren were both baptized in the lovely name of Jesus. She already has the Holy Ghost, and when she came out of the water, she was just weeping. 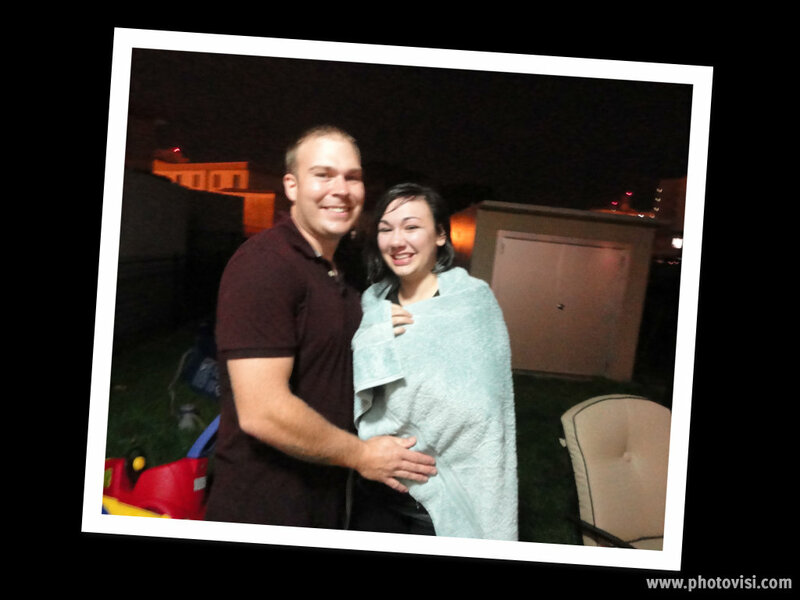 Please pray for Darren to complete the new birth by receiving the Holy Ghost. Don came out of the water and began speaking in a language he did not know. We all heard him and knew... God had gloriously filled him with the Holy Ghost. "I knew from the first day that I needed to do this!" :) May God continue to bless Bro Lucas with wisdom and anointing as he teaches this hungry group of military. 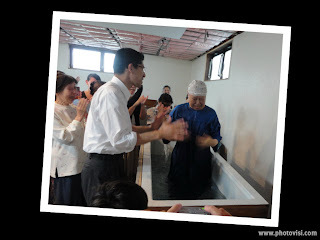 Ooki-san received the Holy Ghost evidenced by speaking in tongues back in April after our revival with Bro Bourne. Now she has been baptized in the only name given among men whereby we must be saved. The Lord recently healed her of lung cancer. She only has some breast cancer left when months before the doctors gave her no hope. Jesus can do ANYTHING! Then on the 4th of July, a Japanese lady received her ultimate freedom: from sin. Sis Ishibashi has been teaching her a bible study and after being baptized in Jesus' name, she was filled with the Holy Ghost in the water. Praise the Lord! 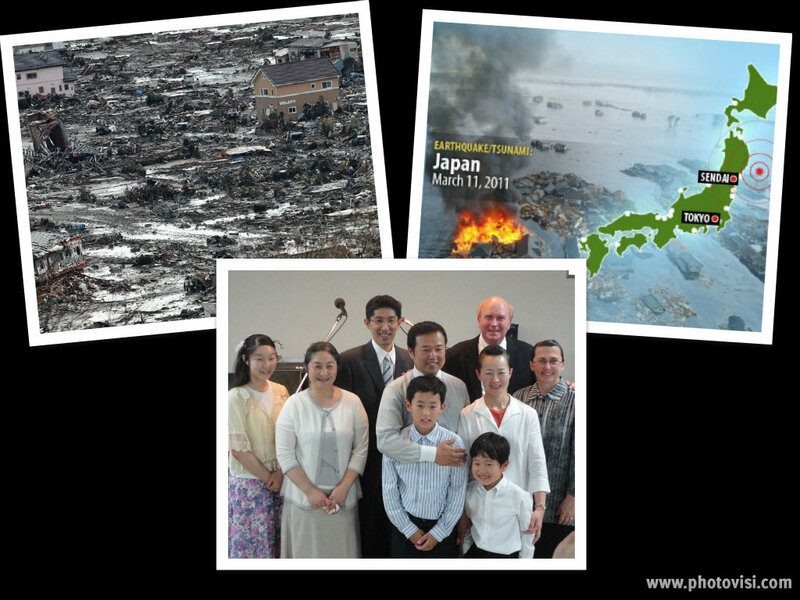 Today the Ishibashi family is moving to the tsunami-devastated area of Ishinomaki to begin a work as well as help Pastor and Sis Kon in Sendai. Ishinomaki was one of the hardest hit cities from the 2011 tsunami. Back in January, Bro & Sis Ishibashi felt the Lord tell them they needed to move to the Sendai area to work in His Kingdom. 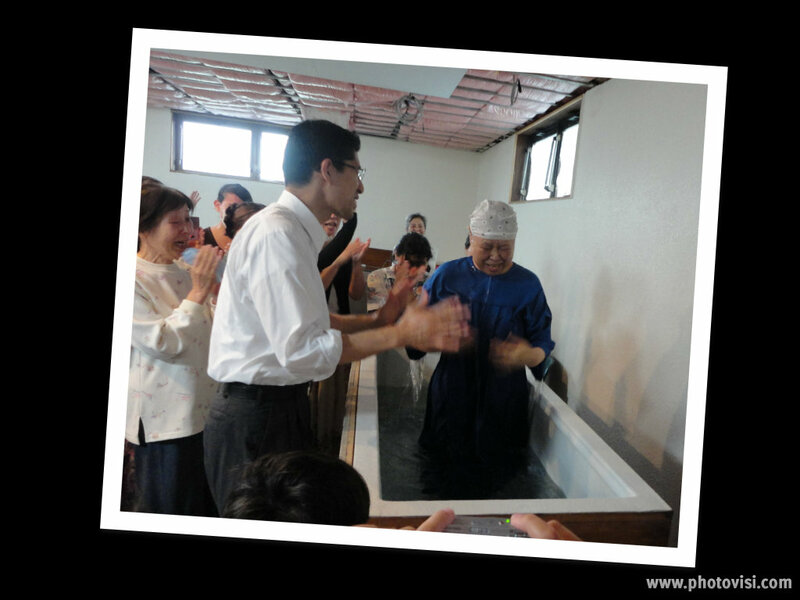 Bro Ishibashi followed the leading of the Lord and was licensed at the Japan UPC General Conference back in May. It was a very emotional day this past Sunday as we prayed for the Ishibashis and had a going away fellowship party. We love the Ishibashis from the bottom of our hearts and know that the Lord has already opened doors for them. :) If you are friends with me on facebook, check out the videos I am going to post of us singing "Blessed Be Your Name (you give and take away)" and the leadership praying for the Ishibashis. Oohashi area in Ishinomaki - For the Koide family, that the battle to try and meet with the Koide family would be broken, and for the hungry to be filled & to know Jesus. Mangokuura area in Ishinomaki - For souls who are hungry, to reach out & let them know Jesus loves them, and that people would be open & be baptized. 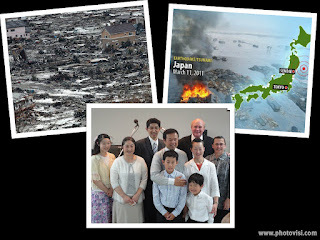 Sendai City - For the saints to grow in the Lord, for more to be in the ministry, and that the church will grow more. 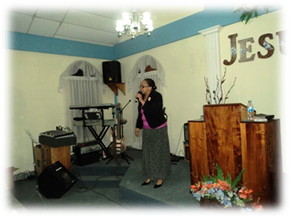 Our very first District Convention in the Belize District was an outstanding success! We were blessed by the ministry of Bro. Gary & Sis. Pat Vick, of Camden, TN. Every service was explosive with the power of the Holy Ghost! Overall there were 6 people, including 3 children, that were filled with the Holy Ghost, 1 person was baptized in Jesus' name, and 2 babies were dedicated. There were healings that took place as well. We are so thankful for what God is doing in this new district. On Saturday, July 21, the nephew of one of our pastors was bitten by a crocodile while spear fishing. He was bitten on his head. His skull was broken and water from the lagoon had gotten in the wound onto his brain. He was in the hospital on life support. The doctor told the mother that there was no hope for the young man and that he was going to disconnect the life support. She asked the doctor to please wait until Monday to do so. She asked this because she didn't have enough money to pay the morgue to keep his body until Monday. When I received the call asking for prayer, I was driving down the road with our convention guests. We immediately had prayer for this young man. In service that night, we prayed again. By Sunday, the next day, he had come out of his coma and communicated with his family. One week after his accident, he was released from the hospital and is completely okay! During the last service of our convention, there was a time of special prayer for healing. Brother Saul brought his 8 year old son, Osmond, for prayer. For over a year a half, he has had some kind of infection in his eyes. It was similar to pink-eye, but no medicine would help. His eyes were always slightly swollen and extremely red with visible infection. After the doctors in Belize couldn't help the child, Brother Saul took him to Honduras to see doctors there. Still there was no relief for his eyes. Prayer was made at the convention, and this week when they came to service, Brother Saul happily showed us that Osmond's eyes are completely well! 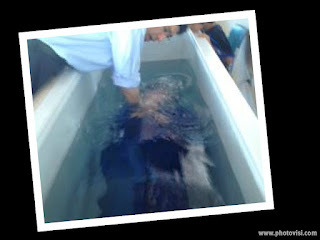 Maria Elena received the Holy Ghost and was baptized in Puebla. To God be the glory. We were privileged to return to the church that God allowed us to begin in August 2000. The young people on the left were babies when the church began. What a joy to see them being faithful to God and ministering in the service. SFC Vehicle - Thank you for giving!! When we come to places in the road like this - WE ARE VERY THANKFUL for a good vehicle to travel in. May God bless you for your giving. A new session has begun at the Puebla Bible Institute. Please pray for God's blessings on this project. Country Dynamics: Finland has a population of about 5.5 million people; approximately 1.5 million live in the Helsinki-Vantaa-Espoo region. State religions: Lutheran, Orthodox. Trinity Pentecost also has a far-reaching impact; Paganism; Agnosticism. Pioneering Missionaries: Mark, Glenda, Miranda, and Candace Alphin (living in Vantaa). AIM currently fundraising: Kevin Workman, Colorado; Zachary Mitchell, Texas. Kiitos paljon for praying with us. An awakening is coming!